Batteries 'simply not competitive'; hydrogen and ammonia 'the middle ground'. A new report by Lloyd's Register and London's University Maritime Advisory Services (UMAS), released on Friday, has ranked biofuel as the best zero-emission solution currently available. The 28-page study, entitled 'Zero-Emission Vessels 2030. How do we get there? ', says that from a financial perspective, biofuel consistently outperforms other zero-emission alternatives due to the low cost of machinery and storage together with low fuel and voyage costs. The report does stress, however, that advanced, non-food-derived, sustainability-certified biofuel will be required if the amount needed to fuel the shipping industry is not to clash with the basic need for food with an ever-growing global population. "Whether this results in a finite and partial supply taking a share of overall shipping energy sources, or practical limits on production causing prices to rise to the point where biofuel options become uncompetitive relative to the 'next best' option remains unknown and needs further work. In the meantime, it pays to consider what the 'next best' might be," the report notes. The conclusions of the new report follow the recent release of another study, in Norway, performed by the Industrial Ecology Programme and Department of Energy and Process Engineering at the Norwegian University of Science and Technology (NTNU) and SINTEF Ocean, which identifies biofuel as having the highest CO2 emissions reduction potential in comparison with a list of other measures. The aim of the new Lloyd's Register-UMAS report is to identify the drivers that need to be in place to make ZEVs a competitive solution for decarbonization. The study assesses seven technology options for ZEVs, applied to five different case study ship types across three different regulatory and economic scenarios. The options consist of various combinations of battery, synthetic fuels and biofuel for the onboard storage of energy, coupled with either a fuel cell and motor, internal combustion engine, or a motor for the conversion of that energy store into the mechanical and electrical energy required for propulsion and auxiliary services. The new study concludes that battery technology is "simply not competitive" at present. According to the researchers, further evolution in terms of performance and cost reduction will be required before batteries could be preferable to synthetic fuel options - unlike for some of the smaller ferries travelling very short distances. In terms of competitiveness, synthetic fuels (hydrogen and ammonia) are described as being "the middle ground". In an analysis of hydrogen and ammonia, it is the latter, in combination with the internal combustion engine (ICE), that appears the most competitive; this is because of the lower capital costs associated with the onboard storage of ammonia relative to hydrogen. It is not consistent, however, and hydrogen and ammonia are deemed to be interchangeable as the most competitive energy sources, depending on the scenario and ship type. "A lot will depend on how the technology and feedstocks associated with the production and storage of hydrogen and ammonia mature and how this impacts the balance between their respective prices as fuels and the storage costs on board," the report says. Both hydrogen and ammonia involve higher capital costs in terms of storage - particularly when used with fuel cells. Also, due to the lower energy density, they reduce payload capacity, contributing to lower competitiveness relative to both biofuel and conventional fuel. The report says that these negative impacts on competitiveness can be significantly reduced if the range (the distance covered between bunkering) is reduced, but this is not viable if the range is already close to the limit needed (to cross an ocean, for example). 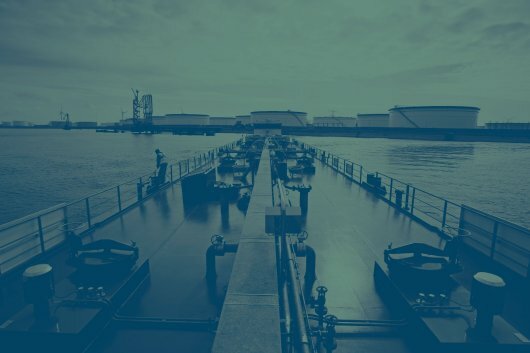 However, for many vessels, the move to a zero-emission option may be made significantly easier if a lower requirement for onboard storage and more frequent bunkering is used, the report says. In an analysis of machinery options, the report determines that an ICE generally outperforms the combination of fuel cell and electric motor. This, the reports says, is mainly due to the internal combustion option having a lower capital cost for propulsion machinery, in spite of the slightly worse efficiency than the fuel cell, and therefore requires more fuel and higher storage capital costs, meaning greater lost revenue due to payload reduction. ICEs generally outperform fuel cells and electric motors at current estimates. When used with fuel cells, their relatively low energy density means they require more onboard storage, increasing capital cost and reducing cargo space and revenue. These negative effects on competitiveness can be significantly reduced, however, by shortening the range between bunkering and thus the onboard storage requirement. For many ships, this approach could make the shift to a zero-emission option significantly easier, the report notes. A further advantage of internal combustion solutions, particularly from the perspective of a technology transition, is that they could be used as dual (or even tri) fuel, running different fuels depending on availability and pricing, the study says.